Pour in the bouillon and coconut milk, bring to the boil. Add the soy sauce, tofu and carrots, cook for approx. 3 mins., add the prepared noodles. Divide into soup bowls, top with the bean sprouts, chilli and basil, serve with the lime. 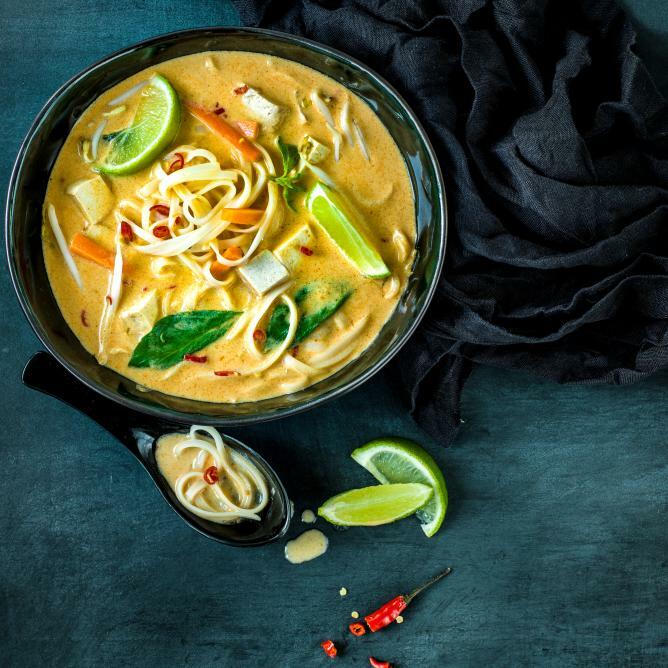 Tip: For a vegan soup, use Coop Naturaplan red curry paste.